I really enjoyed these four personal accounts of Lawrence’s sun-drenched experiences in early 20th Century Italy. Once again, the Penguin Little Black Classics format offering the perfect “in” for an author I had never really got round to reading. 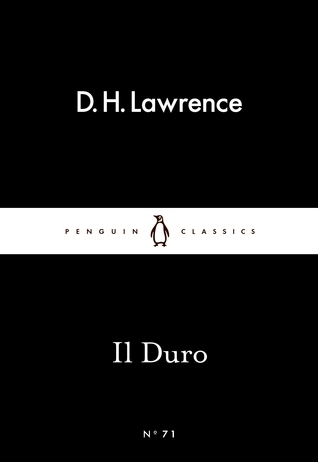 Three of the stories – The Spinner and The Monks, Il Duro and John – are taken from Twilight in Italy, which was first published in 1916. The last story,The Florence Museum, is taken from Etruscan Places, which was first published sixteen years later. I’m fond of Italy and his writing appealed to me so I would definitely seek to read more of experiences of the country. This very short and charming book would make the ideal gift for the intellectual party animal among your friends. This is an elegantly presented collection of F. Scott Fitzgerald’s best writing about booze. It sums up the author and the Jazz Age in which he lived – and drank! “First you take a drink, ” he once noted “then the drink takes a drink, then the drink takes you.” This kind of line is typical of what can be found here.